It’s been forty-five years since Jackie Robinson left this world. To say that it’s a better world since Mr. Robinson left us is a big question. I know that society has advanced in diverse ways. I know that the world is more accepting of diversity. Today, kids of all colors can attend all types of schools. And, in baseball, we have African American and Latino managers. I would also like to think that, today, our children can have the same dreams. With all that said, I wish that we didn’t have to be so sensitive in our overall approach to life. I would like to think that in our society we could joke around with each other like we used to, and laugh at each other like we did when we were kids. The one thing that I loved about Jackie Robinson was that he respected his fellow man. If he had something to say, he had no problem saying it. If certain things were wrong in our society, he had no problem pointing these things out in a respectful way. I also would like to think that Jackie would be happy with the overall advancements in America. 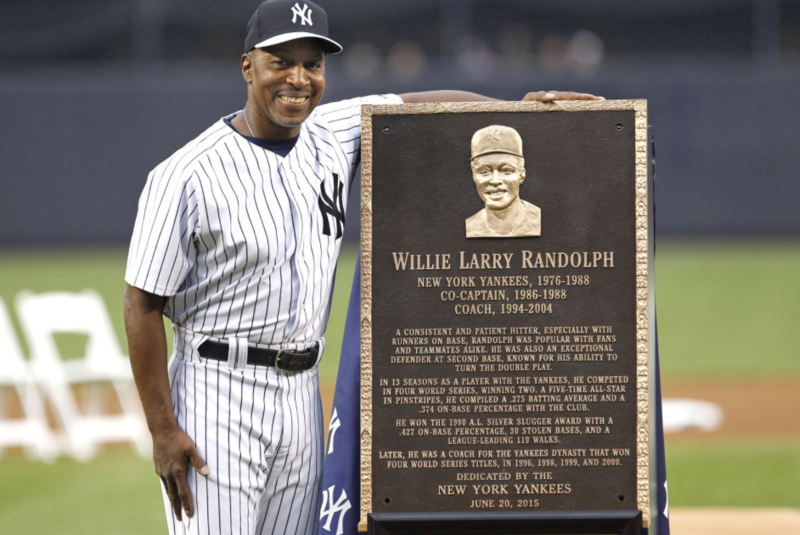 Jackie would be proud that New York has had its first African American manager — Willie Randolph. Had he lived, you can bet that Jackie would have been at Shea Stadium rooting Willie on. Baseball has done some wonderful things to make the game, and life in general better for all man. The reason I bring up Willie Randolph is because he is a person that I shared the same minor league uniform with when, as teenagers, we played in the Pittsburgh Pirates organization. So, to say that I am proud of what the “black skinny kid” from Brooklyn accomplished would be an understatement. One of the two most important men in my baseball life was Billy Martin. I can honestly say that Willie was one of the people in this game that Billy respected most. I recall Billy telling George Steinbrenner that young Willie should be a Yankee captain because Willie was always a leader — especially after we lost Thurman Munson. And, lo and behold, Willie became a Yankee captain. Later, Willie would serve as a terrific Yankee coach who would go on to mentor a young Derek Jeter and many future Yankees. When I’ve talked to Willie about his wonderful contributions to the game, he always gives the credit to the great Jackie Robinson. I would like to think that kids of color understand what Jackie did for them and how the Willie Randolphs and others continued to make their lives better. Willie Randolph has always been a strong man who was always there for all people — not just black people — because it was the right thing to do. If you knew anything about Jackie Robinson then you would know that Jackie was the same way. He was there for African American causes, but also causes that affected other minorities. He truly was a credit to the game and a credit to society. Along the same lines, I’m proud to say the same about Willie Randolph and all his contributions to the game and society. I’m glad that we don’t have to wait 45 years before we can thank him. Willie, you may not be managing or coaching a major league team right now but, in the great tradition of Jackie Robinson, you continue to make meaningful contributions to society. For that, we thank you. Well, to everyone’s surprise they were ready coming out of spring training. At this point, the whole organization got into motion to do what was right for those players, the fans and all of New York. The fact that I have been around the Yankees since the beginning of the Steinbrenner era, it was easy for me to recognize the direction that the team was going to go. It was also easy for me to realize that the moves that Hal Steinbrenner allowed the baseball people to make was not only in the best interest of the Yankees but also the whole city of New York. As a true baseball fan and also a fan of the Yankees and the Steinbrenner brand I have to tell you that I couldn’t be more proud of Hal Steinbrenner and how he has handled this incredible type of pressure in running a juggernaut brand known as the New York Yankees. I had the opportunity to watch his dad, George Steinbrenner, run this team for many years. As fun as you think it may be, it’s not always a day at the beach. The stress that goes into running the Bronx Bombers is impossible to explain because of how difficult running a major league team really is. I must add that today running this organization has to be three times as tough with the global reach of the organization. It’s a great time to be a Yankee fan, to see the emergence of the Aaron Judges and the Greg Birds and all the other baby bombers. It’s great to know that more great young players are on the way because of the work of Damon Oppenhiemer, John Kramer and all the people in the Yankees farm system. 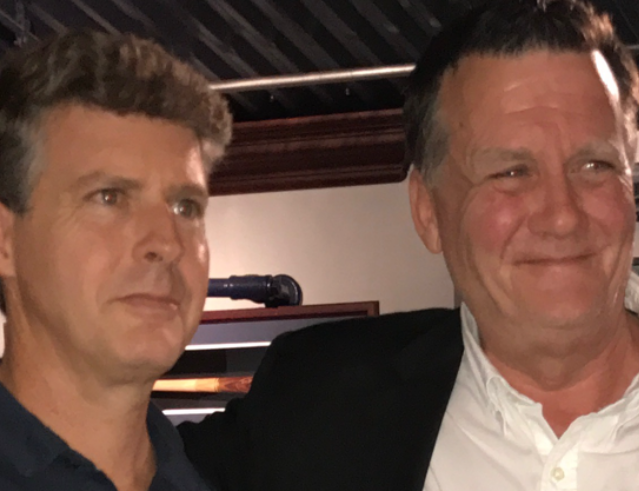 The thing that I am most happy about is that Hal and Hank Steinbrenner are still where they are supposed to be-at the top of the Yankees hierarchy approving and not approving of the moves that need to be made in order for the Yankees to be where they are supposed to be-at the top of the Baseball world! It doesn’t hurt to know that the Yankees do have the best general manager in all of baseball in Brian Cashman. Just to watch some of the moves that he has made at crunch time during the trade deadline tells you that. As we would say in the Bronx, “to say that Brian has a set of big ones would be an understatement.” Finally I must add that Jenny and Jessie Steinbrenner are the Pride of the Yankees. Like their dad, they never forget the little people. I’m very proud of the fact that Jenny has spent a lot of time in the Bronx and made the teachers and principals there feel important. My mom, who I lost last year was a teacher in these neighborhoods and always told me how thankless the job could sometimes be but that would make her fight harder because at the end of the day it was always about the kids. This year we saw the Boss’s little girl there more and Jessica, or Jessie as the Boss would call her, will never understand how important her presence is. The enthusiasm on her face as she gave Derek Jeter his award, when he was honored this year, told the whole story. Many fans were ready to hang Joe Girardi from the stadium facade for possibly making one mistake during the playoffs but you have to admit that the guy and his whole coaching staff really did do a terrific job with this young ball club. They gave respect and got respect back. The veteran trainer, Steve Donohue, and his staff did their usual terrific job that they inherited from Donohue’s long time mentor, Gene Monahan. You can’t forget Matt Krause and what he does with the guys from the standpoint of strength and conditioning. He’s as good as they come. MLB recently announced that the most valuable player award for the World Series would be named the Willie Mays Award. It’s a nice gesture because Mays was a great baseball player, one of the ten greatest of all time. However, when it comes to the World Series, nobody did it better than Mr. October, Reggie Jackson. For that reason I will tell you why this award should have been called the “Mr. October Award”! You are talking about a guy (Reggie) that played in six World Series, won five world championships and was the most valuable player in two. You are also talking about a player who saw three pitches in Game 6 of the 1977 World Series and hit three home runs. I remember after he hit the first homer, I suggested that he take a curtain call and he said no. After he hit the second homer I asked him again to take a curtain call and again he refused for whatever the reason. I said to him,” If you hit a third you will take one then.” and Reggie said ‘Man your crazy but I will.’” Wouldn’t you know it but on the first pitch from Charlie Hough, he would hit a knuckleball deep into the black in center field. When he got into the dugout as he started to sit down I went to his ear and said, “You promised the fans a curtain call.” And then I started to push him out of the dugout–I must add I didn’t have to push hard. That game would become one of the greatest in Yankees history. One of the biggest songs of that year (1977) was Carly Simon’s “Nobody Does it Better” If you were a television sports producer you couldn’t help but use that song in any report dealing with Reggie. The words to that song symbolized the greatness of what Reggie Jackson accomplished so much so that forty years later I can honestly say that no one has had a better World Series since. Ninteen Seventy-Seven was the Summer of Sam, a crazed killer (The Son of Sam as he was known) walked the streets of New York and shot and killed over a dozen innocent young lady’s and you never knew when he would strike again. That same year on August 16, Elvis Presley, the king of rock and roll, died. New York City was rocking to Saturday Night Fever and made a mega star out of John Travolta and the city streets were stinking big time because of a garbage strike. In the Bronx, graffiti was all over the place, walls subways etcetera. 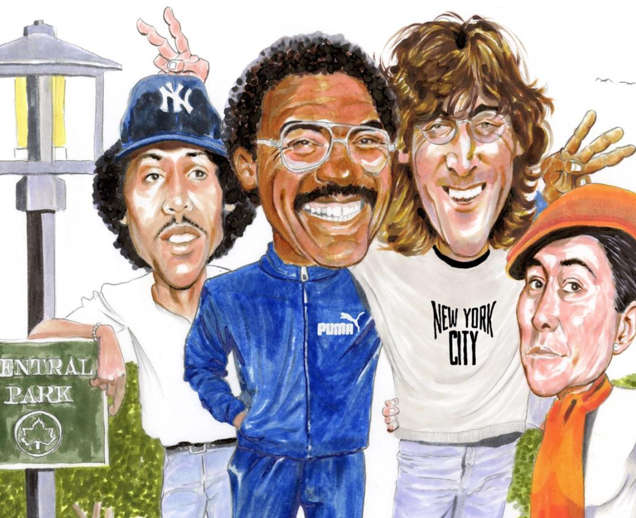 On October 18, during the World Series between the Dodgers and the Yankees, Reggie Jackson arguably put on the greatest show in World Series history and brought a team and a city together. 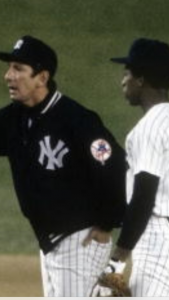 I will also never forget that after that game, Reggie and Billy Martin sat in the manager’s office together with their arms around each other and that actually meant a lot to me because Billy always treated me like a son and Reggie has always been a big brother to me however I knew those emotions wouldn’t last, but that’s a story for another day. One month after Reggie had hit the three home runs in Game 6 f the 1977 World Series, Reggie and I went jogging in Central Park. It was a beautiful brisk day and at this time I could still run really well. Reggie liked running with me because I would make him run harder, I always wanted to beat Mr. October but he was deceptively fast. Three quarters of the way to the west side of the park, I noticed two very familiar figures. It was John Lennon and Yoko Ono. John Lennon noticed Reggie before Reggie noticed Lennon. I screamed to Reggie, “Stop Jack! It’s John Lennon.” I was in shock because I had always been a giant Beatle fan. Reggie and Lennon shook hands and then Lennon introduced Yoko Ono to Reggie. Lennon said to Reggie “I don’t know your sport, but I do know that right now you’re bigger than the five Jackson’s put together, referring to Michael Jackson and the Jackson Five.” Reggie laughed at that and I guess you could say that John scored big points with that comment. Lennon told Reggie how much he loved New York and Reggie replied about how intense and crazy the city could be. Yoko never really said much and I was just mesmerized watching two entertainment gods of the era enjoying one another. Years later, I asked Reggie if he ever thought about that time that we met John Lennon and reminded him of what Lennon said that day. Reggie smiled. (You have to remember that Reggie had met all of the greats from the last six decades, stars from film, television, music and sports. We are talking about greats like Sinatra, Muhammad Ali, Pele, you name it. I believe that he even met Elvis, but I’m not sure.) Today, Reggie understands the magnitude of John Lennon and what Lennon meant to the world and he must think to himself, “That’s pretty neat.” That’s what Reggie’s smile told me. I was a kid who always seemed to be in the right place at the right time and I will forever be grateful for the kindness and sincerity of these special people in my life.Today is the fortieth anniversary of George Steinbrenner’s first World Championship and for me the greatest performance in a World Series game by a player and on this day Thurman Munson would give Reggie Jackson the greatest nickname in sports, MR OCTOBER! Roberto Alomar is a retired Hall of Fame Baseball player who has made his money and lives a good life as a special adviser to the Toronto Blue Jays. He also advises the Commissioner of Baseball, Rob Manfred on different baseball issues. As a Hall of Famer Robbie travels the globe and tries to make an impact on all sorts of positive issues. That being said, the biggest thing on his mind and in his heart are the different problems in his native Puerto Rico. He has traveled there twice to deliver different products to his family and people there. Because of his political stand there as one of his country’s best known and loved citizens, he is aware of a lot of the positive and negative issues of his homeland and tries to quietly be a positive influence in his effort to help. I have known Roberto since he was a young boy and he is aware of my acquaintance to Donald Trump and some of his inner circle since the days when Roberto’s father played for the Yankees and Trump was a regular guest of George Steinbrenner. 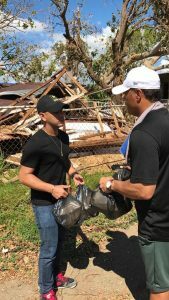 Yesterday, Robbie called me to see if I could reach the President or some of his people to plead for the United States Government to continue to help Puerto Rico with Military help and whatever other help is necessary to bring his beloved land back to its beauty and prosperity. Roberto makes this plea with true respect to the office of the United States of America. He feels that together we can bring Puerto Rico back to where it belongs -An island of beauty and grace. Roberto and friends in New York recently sent a cargo plane to Puerto Rico full of supplies but he knows that this is just the tip of the ice berg. He knows that if the people in Puerto Rico know that the United States will be there to mentally physically and spiritually be there to support them Puerto Rico will be back. 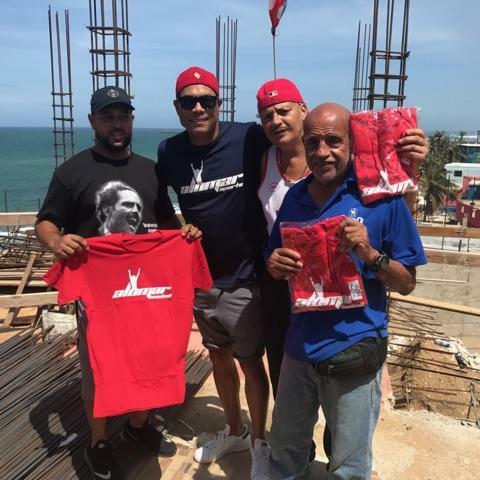 On behalf of Roberto Alomar and the people of Puerto Rico, I ask you, Mr. President to please continue to be there for these great American people, the Puerto Ricans. Thank you. Weekends belong to Ray on 1050 ESPN Deportes Sat. and Sun. from 12pm to 2 pm. Read Ray on Newsmax. Today I was reading one of the other news publications, The New York Post. There was a story written about Chazz Palminteri and the fact that the mayor of New York would possibly take down the statues of Christopher Columbus. I recently wrote a story about Chazz and the fact that he had wanted to help the people of Puerto Rico during this period of the hurricane. 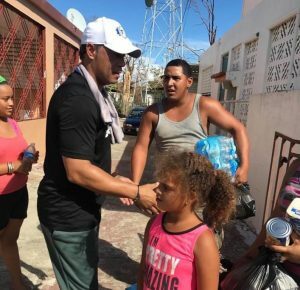 To Puerto Rico, Columbus and Roberto Clemente are the country’s biggest heroes. There are more statues of Columbus in Puerto Rico than any where else on earth. If anyone said that they wanted to take down the statues of Columbus in Puerto Rico you might get a national war there. Puerto Rico’s national anthem mentions Christopher Columbus very prominently so kids in their schools are educated about the importance of Columbus at a very early age. I support Chazz whole heartedly and appreciate him taking a stand. 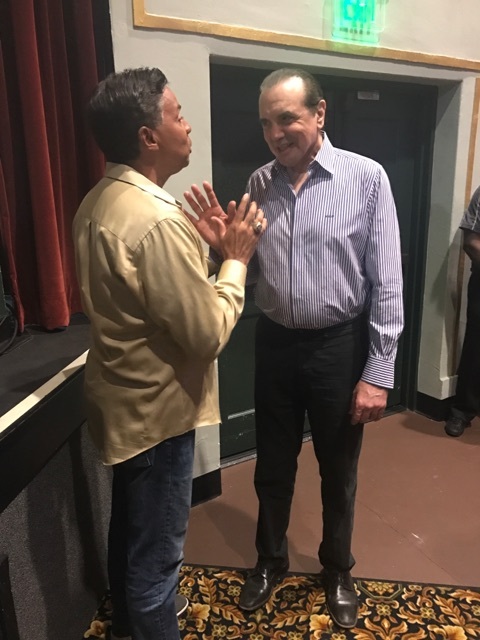 Thank you Chazz Palminteri for caring. Weekends belong to Ray on 1050 ESPN Deportes from 12pm to 2pm. Read Ray on Newsmax. 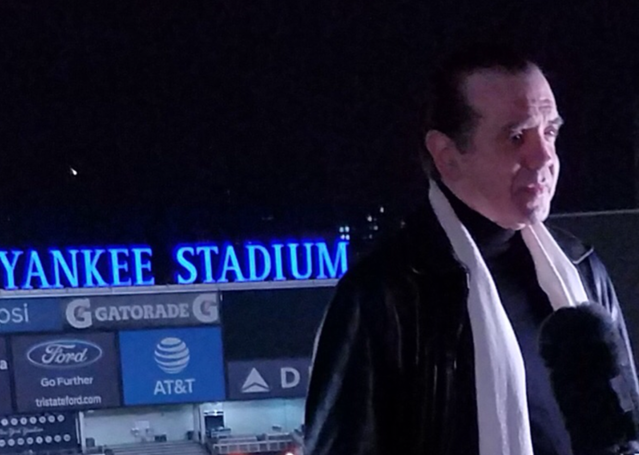 In the incredible movie A Bronx Tale, Sonny always says,” Nobody cares.” Well Sonny’s alter ego and creator of a Bronx tale, Chazz Palminteri was a first responder when he volunteered his artistic services to the people of Puerto Rico. 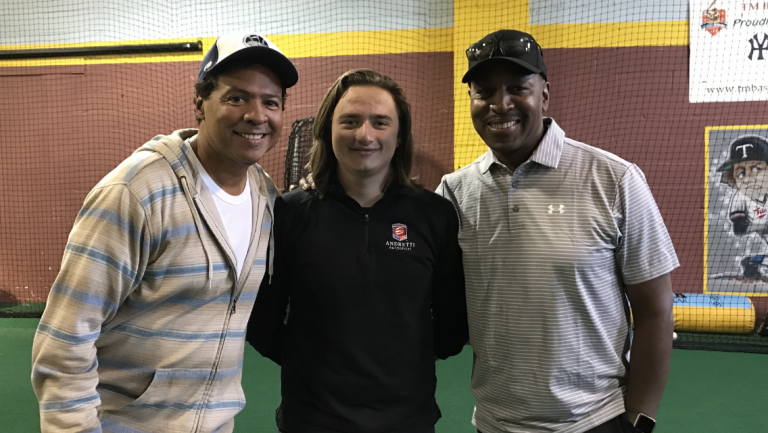 Chazz wants to help in putting together a benefit in the Bronx with Bernie Williams, Roberto Alomar and Richie Cannata, the great saxophone player that plays the solo in Billy Joel’s NewYork State of Mind and today tours with his band, The Lords of 52nd Street. Each time that we have had a catastrophe and people have been hurt, Chazz has been there to help. He was there for Hurricane Sandy five years ago on Long Island. I always tell Chazz that to me he is a hero and it’s because of times like this. To know Chazz is to love him. He doesn’t realize what an inspiration he is to so many people of all nationalities. This is a true Bronx boy that has given it his best shot and he has made it. A Puerto Rican kid like myself and a lot of my buddies that come from areas like the Bronx, like to feel like if he can make it than maybe we can too. A great thing about Chazz is that even though he has made it, he doesn’t forget where he came from and he doesn’t forget his friends. Oh and by the way he still gets his cannoli from Geno’s Bakery on Arthur Avenue in the Bronx. Jerome, the owner, is still one of his very best friends and they have the best cappuccino in the world. I must add that his new play on Broadway A Bronx Tale is absolutely fabulous. If you haven’t seen it yet get a date or take your wife and check it out. I must add that I know this weekend Chazz’s heart is with the Yankees in Cleveland. 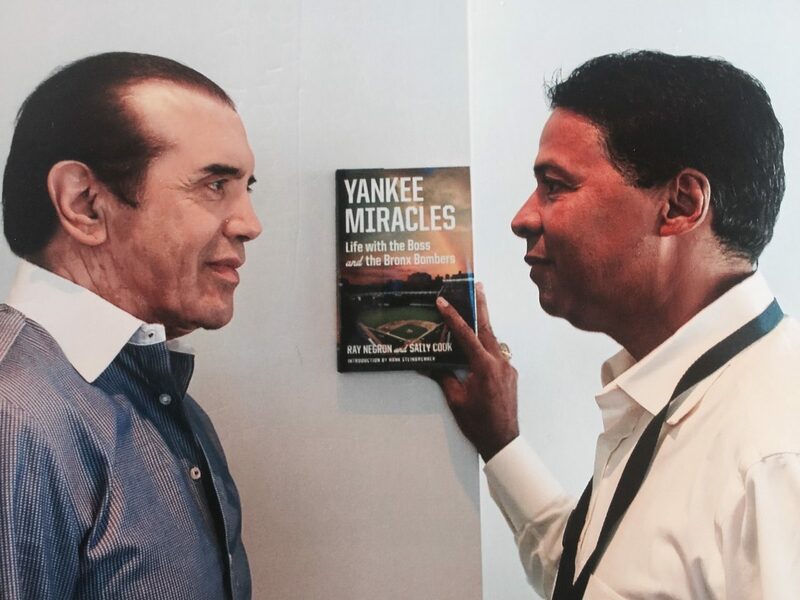 If you know Mr. Palminteri at all than you know that he is one of the biggest Yankee fans ever. When all plans are set for the benefit for Puerto Rico we will let you know. Chazz, Bernie, Roberto and everyone else involved thank you from the bottom of our hearts. Weekends Belong To Ray on 1050 ESPN Deportes, Saturdays and Sundays from 12-2 pm. Read Ray on Newsmax. Negron’s Impact: We Are Yankees, It’s What We Do! Two weeks ago, I was completing a movie called Stano. A film staring Sofia Vergara and Joe Manganiello and produced by Chartoff productions, which brought us The Rocky series and last year gave us the wonderful film Creed. To say that we were having the time of our lives in making this film would be an understatement. To say that the cast and crew became family would be right on. We were working 12 to 15 hour days sometimes and we didn’t mind because we were living a dream. Then a natural disaster happened. Steinbrenner, about Hurricane Andrew and driving a truck to South Florida and he said the same thing, “It’s something that I must do.” Robert asked me why I looked so puzzled and I told him that I understood. Yesterday, I was in the Bronx loading a truck with supplies, water and food for the Hurricane victims in Puerto Rico. I was at the TM Baseball Academy, the home of Hank’s Yanks. 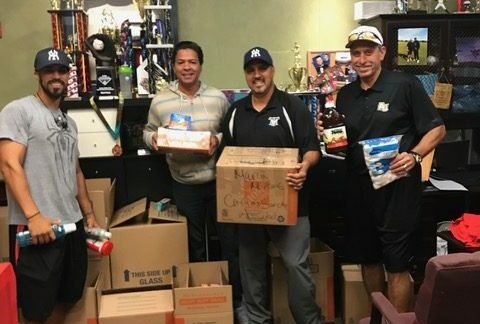 When I got there Dom Scala, the former Yankees bullpen catcher and head coach at Adelphi University, was there packing and loading supplies. Dom just finished his first acting job on Stano. They got there and went right to work, not afraid to get their hands dirty. One of the TV networks was there and I asked Julia to make a plea to all people to help. She said she just wanted to be like everyone else and I told her that I understood because she is very modest but this one time it was important for her to make the plea for more people to help. She understood and did a great job. She did give me that crazy Stienbrenner glare that I use to get from her grandfather for 37 years every time he got mad at me. However, because of the cause it was worth it. 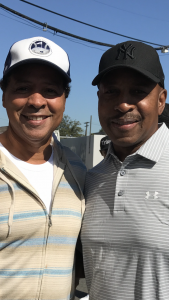 I have to thank Xavier Evans, co star of Stano, who played the role of a Willie Randolph type of player and a true up and coming star, and everyone else that showed up to help. I must add that with the Yankee wild card victory from the night before everyone had more incentive to do all that they could. Even Lenny Caro, Chairman of the NYPD Shields, showed up even though he just had surgery on one of his arms– I guess one arm is better than none. 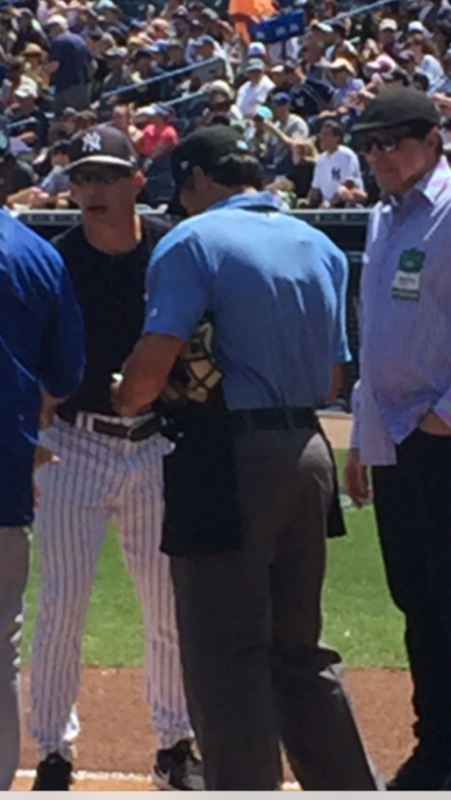 On the hollowed grounds of Yankee Stadium I got to talk to the Commissioner of Baseball Rob Manfred. The thing that was most important to me were his true feelings for my parents homeland Puerto Rico. After speaking to him, I was very happy to hear that he wants to do as much as he can for the enchanted island. He told me that he has Roberto Alomar working for him and that Robbie will be reporting to him. Mr Manfred also said that baseball will return to Puerto Rico and evidently he is on to of it. I am happy to report to my Puerto Rican followers that I feel very confident with what ever Major League Baseball and the commissioners office will do to help Puerto Rico at this very difficult time. 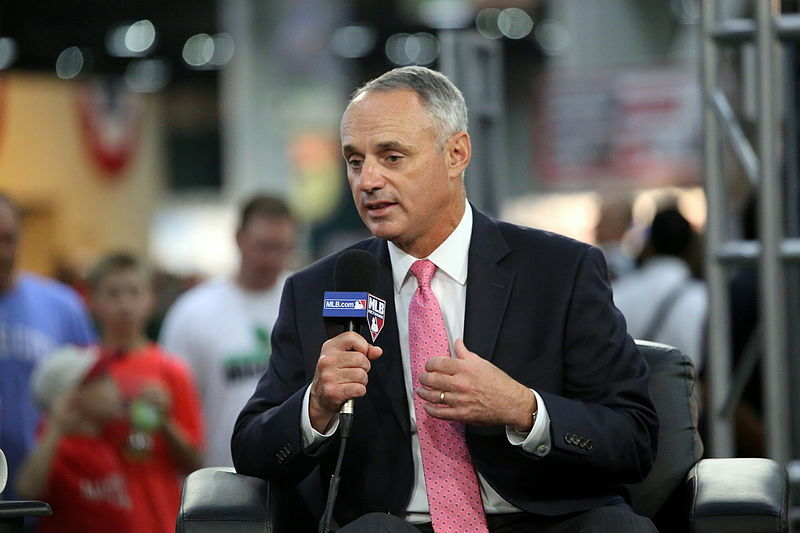 If you would like to hear my interview with Baseball Commissioner Rob Manfred , we will be playing both on Saturday and Sunday on ESPN Impact 1050. 12-2pm.